If you send an email to us through this website, your email will not create an attorney-client relationship. Additionally, any information you include in your email will not necessarily be treated as privileged or confidential. You should not send sensitive or confidential information through this contact form. 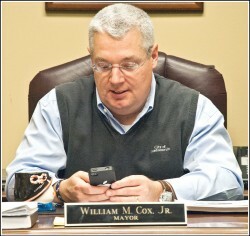 The Law Office of William M Cox Jr PLLC may not choose to accept you as a client. By clicking the “Send” button below, you confirm that you have read and understand this notice.